For the man who loves the great outdoors, this personalized camo pocket knife makes a great gift. 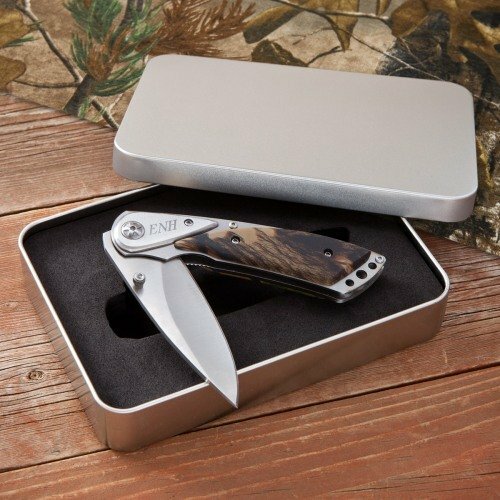 With its sharp blade, personalization, and camo design, this a practical and special gift he'll love to use. Perfect for any camper, fisher, or hunter.